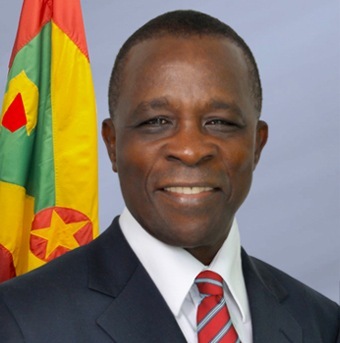 Grenada is the only Western Hemisphere Commonwealth Nation that will be part of the High Level Working Group selected to advance the global intergovernmental negotiations on the post–2015 Development Agenda. The eight member Group was selected by the Commonwealth Chair-in-Office, HE President Mahinda Rajapaksa of Sri Lanka. The group also comprises the leadership of Sri Lanka, Australia, Bangladesh, Cyprus, Tanzania, Sierra Leone and Tonga. “The leaders chosen for the High Level Working Group reflect the geographical spread of the Commonwealth membership, as well as the diversity and sizes of economies and stages of development,” said President Rajapaksa. A statement from the Office of the Prime Minister said that Dr Mitchell has expressed his pleasure at being invited to be part of the eight-member Commonwealth Heads team, especially since he was absent from the most recent Commonwealth meeting in Sri Lanka last year. “This is a great opportunity to represent the region among Commonwealth nations, to advance such a significant agenda. This diverse team of Heads will pool our talents and perspectives together, and come up with recommendations that will serve in the best interest of our shared community,” Mitchell said. The High Level Working Group will oversee the development of the Commonwealth Statement on the Post-2015 agenda, which would reinforce the international community’s dedication to eradicating poverty and promoting sustainable development. Subsequently, the Working Group will convene on the eve of the UN General Assembly in September of this year, in order to adopt the resulting Commonwealth Statement that will then be disseminated to fellow Commonwealth leaders for presentation at the General Assembly.